Lunches, Tips to your guide & driver, Items of a personal nature. Upon arrival in Rome, you will collect your luggage in the baggage claim area, and continue to the Arrival’s Hall where you will be greeted by your tour guide and/or driver. 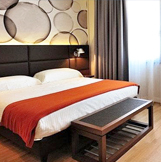 Make your way to the bus where your group will transfer to your hotel in Rome for overnight and dinner. After breakfast this morning we will drive to La Verna/Sansepolcro (approximately four hours). 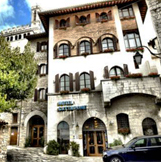 Following check-in your group will enjoy the convent of La Verna. This is the place where St. Francis, over the years, has been seven times and the last time in 1224 where he received the stigmata. Here you will be able to pray in the Chapel of the Stigmata, the Basilica and the Chapel of Saint Mary of the Angels. You will also be able to admire the beautiful artworks of Andrea della Robbia. Following this visit, you will enjoy dinner and a restful overnight in La Verna convent before your walking tour begins! Today you will walk across the hills on the right hand side of the Tiber valley to reach Città di Castello. The town lays on the left bank of the Tiber and was founded by the Umbri, then became a Roman municipium. In the 1st century AD Pliny the Younger lived there in a villa in the suburbs. In the 12th century it became a free municipality with the name Civitas Castelli. Subjugated by Florence and then by Perugia, in 1400 it came under the rule of the noble Vitelli family, who embellished the town with churches and palaces. With the installation of Cesare Borgia, it came under the power of the Papacy until the Unity of Italy. It is still surrounded by a mighty town wall dating back to 1500. Of great interest is the municipal art gallery, with masterpieces by Raphael, Luca Signorelli, Giovanni and Andrea della Robbia, Pomarancio and Ghirlandaio. 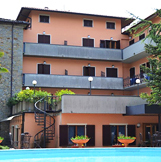 Following your visit of the town, you will enjoy dinner and an overnight in Citta di Castello. After breakfast at your hotel, walking out of the town, you will be able to see one of the most famous ex tobacco curing plant of Italy. During the 1950s this area became very important for Italian tobacco production. Today you will be leaving the Tiber valley, the road climbs amid green, silent hills and winds along in a succession of curves that offer ever new views. Here Umbria is at its best! At the end of this daily walk, your group will reach the small town of Pietralunga, founded by local Umbri populations. Numerous traces of villas and aqueducts remain from the Roman period. The growth in Christianity is associated with the figure of St. Crescenziano, to whom tradition attributes the killing of a dragon. The remains of St. Crescenziano are now buried in Urbino cathedral, of which the saint is the patron. Pietralunga retains the appearance of a medieval town, encircled by walls and clustered around the Lombard fortress from the 8th century, the mighty remains of which can be admired in the piazza. Dinner and overnight in Gubbio. You are now well into the second half of your pilgrimage. 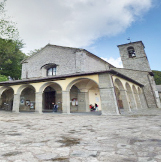 After leaving Pietralunga your group will reach the locality of St. Benedict, where the abbey of St. Benedict is. Inside the abbey, once populated by a community of Benedictine monks, there is a memorial stone confirming the popular belief that St. Francis stopped here on his way to La Verna. The panorama you will enjoy is truly magnificent! Upon arrival to Monteleto, your group will be transferred to the enchanted Gubbio. Gubbio is a town where early in the morning you still hear the bells ring and there are many, each with its own voice. Gubbio seems to be painted onto the hill, a succession of backdrops against which towers and houses stand out, all embraced by walls. It is a place that seems to have come out just as it is from a fresco of the time. Gubbio is also the town where St. Francis, having compassion on the men of the city, was minded to go forth and meet a very great wolf, terrible and fierce, who afflicted the town. During the famous meeting of St. Francis with the wolf, while the latter was waiting with an open mouth, St. Francis advanced towards him and made over him the sign of the most holy Cross. Scarcely had St. Francis made the sign of the cross than the terrible wolf instantly closed his mouth and laid himself down at the feet of St. Francis. 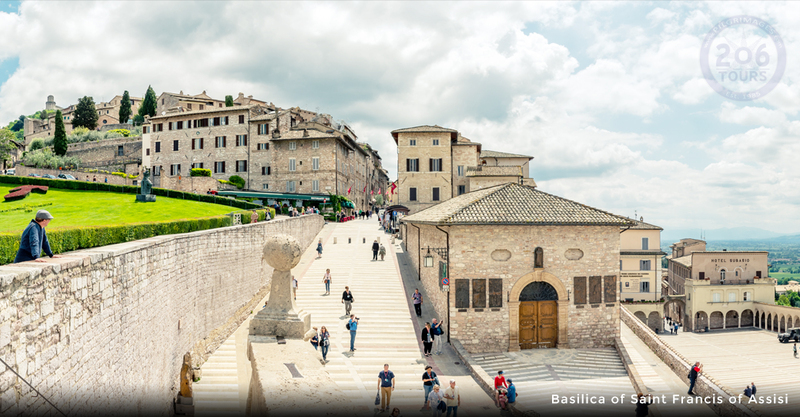 After a visit of the town, you will enjoy dinner and an overnight in Gubbio. Your journey is almost over as you will follow the “Franciscan Path of Peace” a praiseworthy initiative created for the 2000 Jubilee that goes over Francis’ stages from Gubbio to Assisi. Your group will cross Gubbio valley and after admiring a last postcard view of the beautiful Gubbio, will immerge in the Umbrian hills. At the summit of the last hill for the day, in the proximity of the River Chiasco, is the Biscina Castle. The construction date of the fortress is not known, but it is certain that it existed at the end of the 10th century. It is an irregular structure that envelops the inner courtyard and is open to the east, emerging above smaller volumes such as the church and, beyond, the valley below. Conserved in the northern elevation of the castle is one of the towers. Dinner and overnight in Gubbio. This morning, your group will enjoy breakfast followed by a full day of touring the hometown of St. Francis. St. Francis is the “Patron Saint of Animals and the Environment.” Additionally, he is responsible for founding the Franciscan Order, and the inspiration for our Holy Father, Pope Francis. He chose his name in admiration of the Saint of Nature, and Servant to the Poor. Known for being a humble man himself, Pope Francis spent most of his life denying the luxuries of life. He preferred to live in simplicity and humility, while giving up all other worldly possessions, just as St. Francis did. As your group visits the birthplace of St. Francis, you will become captivated as the atmosphere has not changed since St. Francis began his ministry, in the early 13th-century. During the tour, your group will have the opportunity to visit the tomb of St. Francis at his Basilica. Also, at the Basilica of St. Francis, you will have the opportunity to view a series of frescoes depicting his life, as well as, view a few of the saint’s possessions. As the tour continues, your group will visit St. Mary of the Angels Basilica. 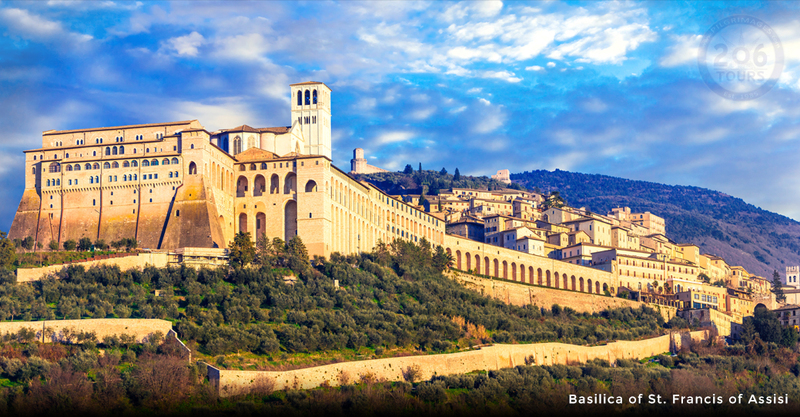 This Basilica is where St. Francis spent most of life, and is made up of two structures; both of which you will visit. The Porziuncola is where St. Francis founded his order of the Friar Minor (Franciscans), and the Capella del Transito, which is the place of St. Francis’ death. During this visit, your group will have the opportunity to visit the beautiful Rose Garden where St. Francis and other friars lived, as well as the cave where the Saint retired to pray. 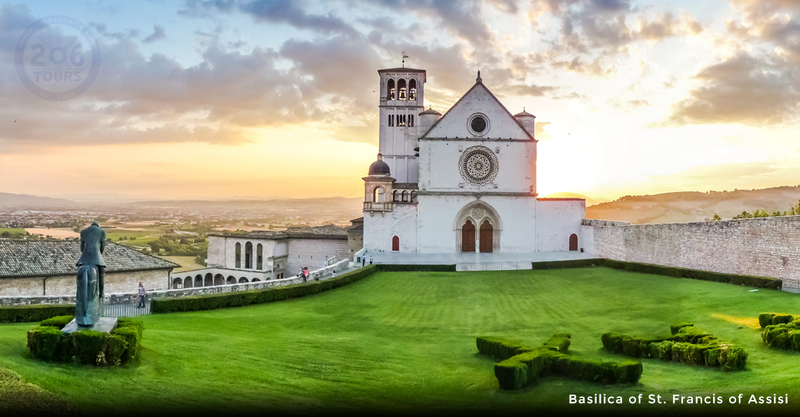 After visiting this beautiful Basilica, your group will enjoy some free time on your own. Feel free to take this time for additional prayer, or shop in the Gift Shop. The last stop on your tour will be to the Church that honors St. Clare, the foundress of the Poor Clare Sisters. This Saint followed the teachings of St. Francis very closely by also living a life of poverty and humility. Lastly, your group will transfer back to the hotel, where you will have some free time to walk, shop, or pray. Return to the hotel for dinner and overnight. After breakfast transfer to Rome. After check in you will have the remainder of the day at leisure. Later in the afternoon your group will make their way to celebrate Mass, followed by a dinner. After dinner, you will have the opportunity to walk to St. Peter’s Square for the Rosary (optional). 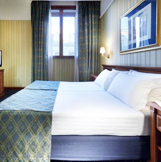 After a nice breakfast at your hotel, your first sightseeing day in Rome starts! The tour begins with attending the Papal Audience in St. Peter's Square! The Audience is celebrated each Wednesday by His Holiness (pending the papal schedule). Following the Audience, there will be free time for lunch, or shop, or mail a postcard from the Vatican Post Office. This afternoon you will visit the oldest of the four major basilicas in Rome, and the home to the relics of Peter and Paul, the Basilica of St. John the Lateran. This Basilica is where the Pope is installed as Bishop of Rome, and where he officiates as the Bishop of Rome. Next, we will cross the street to visit the Holy Staircase. Tradition states that this staircase is from Pontius Pilate's palace of Jerusalem during the time of Jesus. It is also said that this Staircase was brought to Rome by St. Helen in the 4th century. If time permits, you may climb the steps on your knees, in memory of Christ's agonizing Passion. To conclude your day, we will proceed to the Basilica of St. Mary Major. This Basilica contains a relic from the Manger of the Infant Jesus. Return to the hotel for dinner and overnight. This morning, your group will enjoy breakfast at your hotel and depart for Mass. 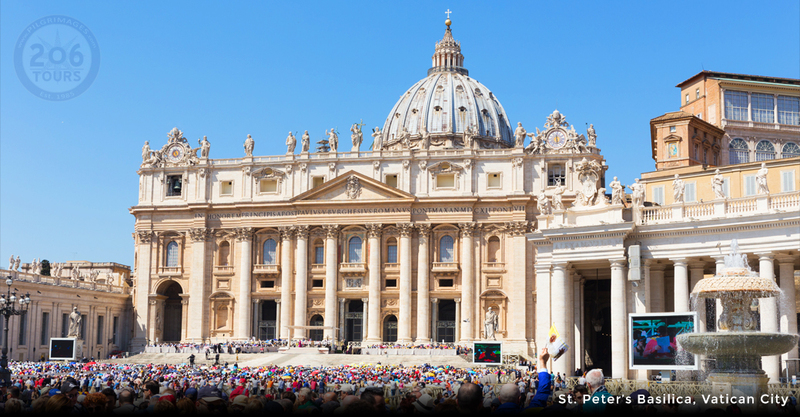 Your group will celebrate Mass at the largest Christendom Church, St. Peter’s Basilica. 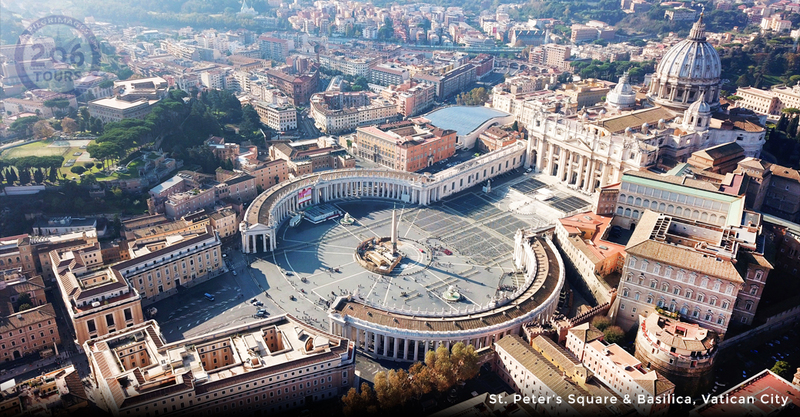 This Basilica was built on the site where St. Peter, the first Pope and Bishop of Rome, was martyred. Also it was Our Holy Father, Pope Francis who was the first Pontiff to visit the necropolis since extensive archaeological excavations were conducted at the ancient site decades ago. At this Basilica, your group will have the opportunity to view Michelangelo’s Pieta. This stunning marble sculpture depicts the Virgin Mary holding Christ after His crucifixion, death, and removal off the cross before being placed in the tomb. 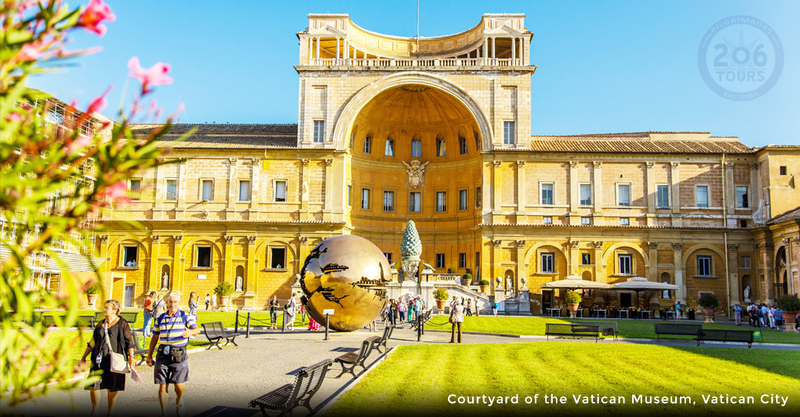 Following, your group will proceed to one of the many Vatican Museums. At the world-renowned museum, you will see the most impressive of edifices, galleries, and awe-inspiring relics. 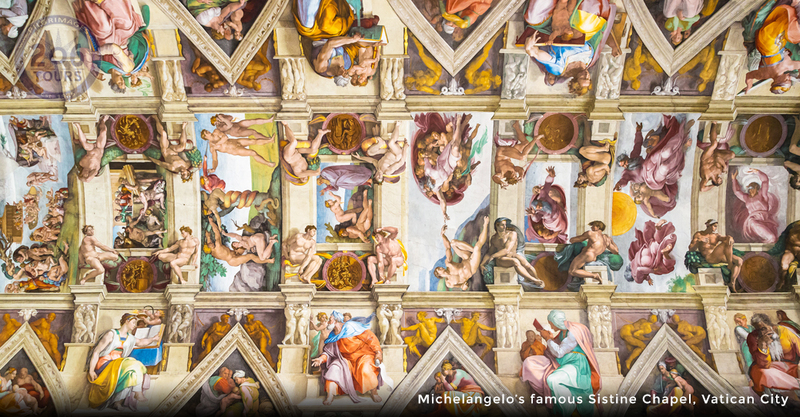 Additionally, your group will have the opportunity to observe the Tapestry Gallery, Raphael Rooms, Sistine Chapel, and Michelangelo’s Masterpiece, the restored mural of the Last Judgment. The final stop on your Vatican tour is at the tomb of Saint John Paul II. 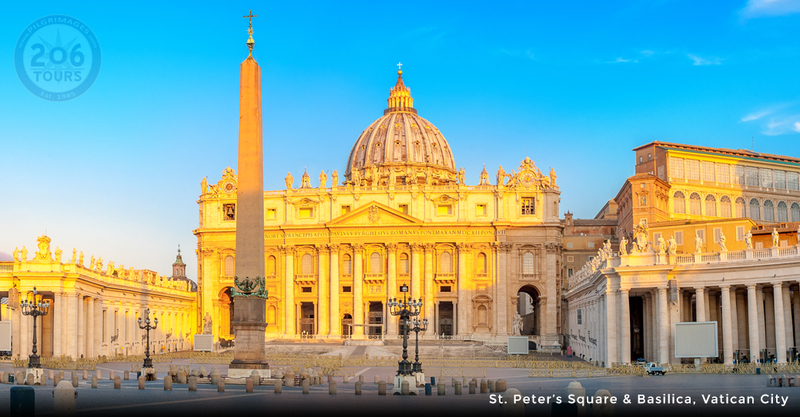 Afterward, your group will enjoy free time for lunch on your own, or to purchase souvenirs from Vatican City. You will then begin the short journey down the Appian Way, the earliest road of Ancient Rome. This road will lead to the Domino Quo Vadis Chapel, the Baths of Caracalla, the Arch of Drusus, the Tomb of Cecilia Metella, and the catacombs of St. Callixtus. The day concludes with a visit to the Basilica of St. Paul Outside the Walls. Originally founded by Emperor Constantine in the 4th Century, this Basilica is the burial place of Saint Paul the Apostle. 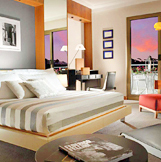 You will then make your way to dinner at a local restaurant, and an overnight at your hotel. After an early breakfast and heartfelt farewells, your group will leave by motor coach and transfer to the Rome Fiumicino airport for return flights home. and transfer to the Rome Fiumicino airport for return flights home. The benefit of buying airfare with 206 Tours? Your transfers are always secured, even if your flights are delayed - round trip transfers to/from the hotel and airport are included no matter what! If you purchase your airline ticket on your own, you have to pay in full at the time of booking, and most of the time it is non-refundable. If you book with 206 Tours, full payment is due 60 days prior. In the very rare event that a tour is cancelled, you would get all your money back, which would most likely not be the case if you purchased it directly from the airline. Your flight arrangement will be followed up on and reconfirmed by 206 Tours. 206 Tours can arrange for you to travel before the tour, make a stop-over, or stay later! 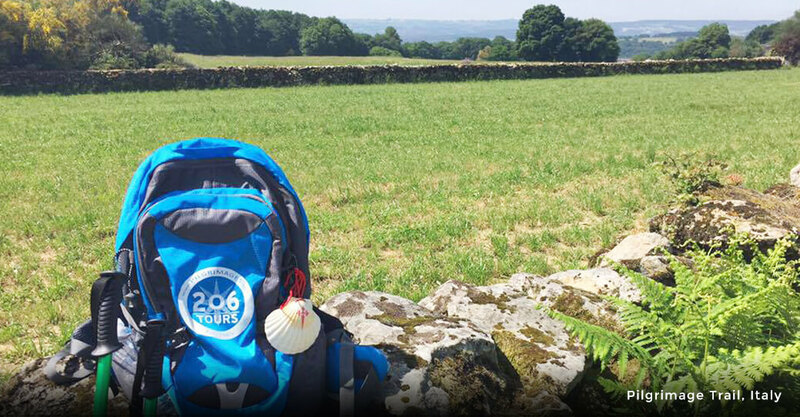 Grow your faith and deepen your relationship with God on a 206 Tours Pilgrimage! A leader in organizing transcendent pilgrimages since 1985, we arrange Mass daily, led by amazing Priests, with the Opportunity for Sacrament of Reconciliation. Included in every pilgrimage are first class accommodations, dedicated guides and attention is given to every aspect of your trip, so that your only responsibility is to enjoy and deepen your faith. © 2018 206 Tours Inc. All rights reserved.